No weeding on May 3rd since the Renaissance Fair is at the Park. We will resume the following week. 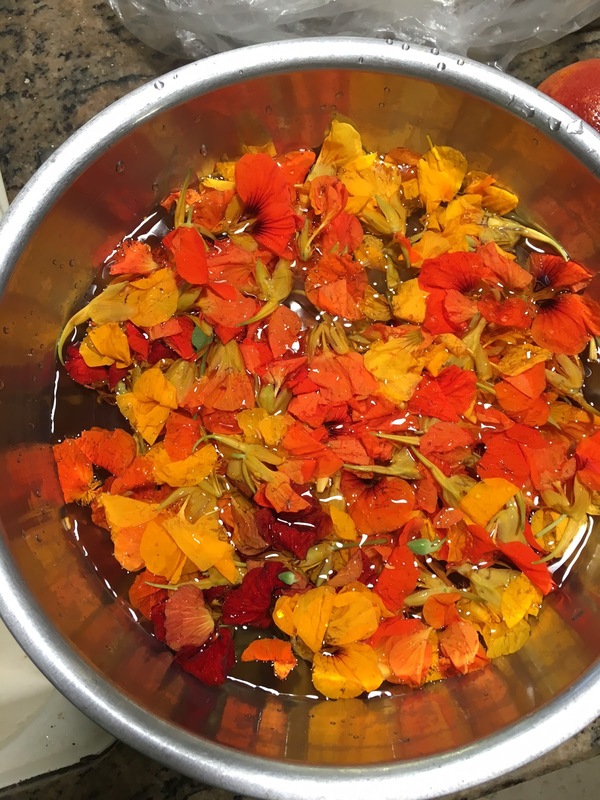 Now is a good time to eat your flowers- Nasturtium jelly and vinegar! Nasturtium flowers make a most beautiful garden, but, you can also eat them. Our Escondido Neighbors United taste testers agree, adding a little dash of hot sauce is a good idea but it is great without it too. Clean a bottle or 1 pint mason jar in the dishwasher and thoroughly dry. 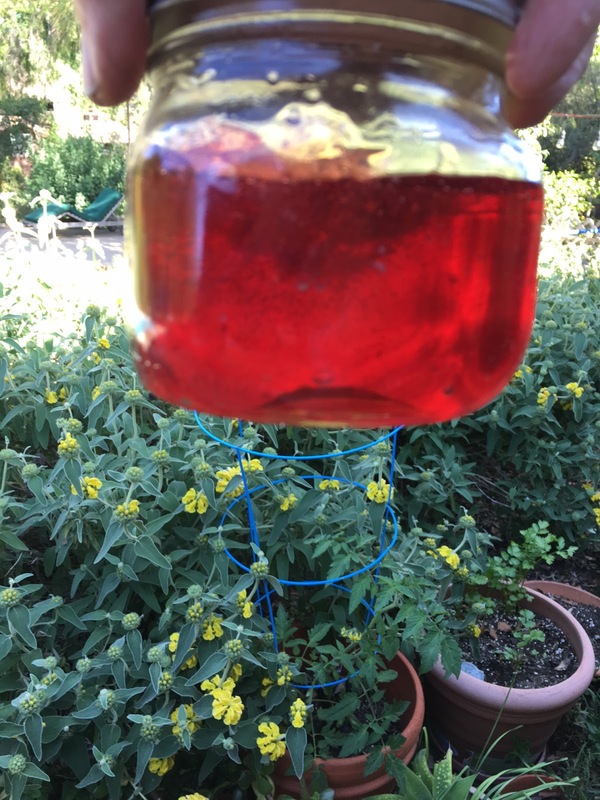 Gently place the blossoms into the bottle or jar and pour the vinegar over. Seal the bottle, then leave to infuse for at least a week. The vinegar will keep for months. Of course, you can also just add them directly to salads too. Some of the most beautiful food you can make and eat! What’s with the giant mosquitos everywhere??!! They are crane flies. So we all have many very large mosquito-looking flies in our gardens right now. No worries, you can relax, they are gentle, friendly, crane flies. They do not bite and they help by pollinating. Here’s what the County says about them…giant mosquito or crane fly? So enjoy your little friends while you can, they don’t last long.